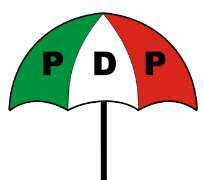 The Lagos State chapter of PDP says it has unravelled the real reason why the National Leader of APC and former Governor of Lagos State has now come up with warped, chauvinistic and unpatriotic criticism of the proposed National Dialogue. The Party stated that the comments of the former Governor is in bad faith, diversionary and indeed a serpent-like attack on the person of Dr Femi Okurounmu and not actually the dialogue. According to Lagos PDP, contrary to the Public display, the former governor's outburst is because he still sees Dr Femi Okurounmu as a political enemy ever since the later exposed the former as never a student of Government College, Ibadan (GCI). Dr Femi okurounmu is a well known ex-student of Government College, Ibadan. Tinubu ought to accord comradeship to Dr okunrounmu If indeed he ever attended GCI like Dr okuorunmu did, but indeed Tinubu has remained haunted by the revelation that he never attended GCI"
The Party has thus challenged Tinubu to risk a live debate with Dr Femi Okurounmu on the propriety of the National dialogue at this time of our Nationhood. In the opinion of the party, Tinubu has now confirmed himself as a pseudo Progressive and enemy of Nigeria having condemned a popular wish of Nigerians, home and abroad. "Tinubu is now more of a National distraction than a National attraction"
It would be recalled that late Chief Gani Fawehinmi took tinubu to court for falsification of informations in order to contest the lagos State governorship election in 1999. One of such falsified informations remains the true secondary School Tinubu attended. "This has remained one of the numerous moral burdens hanging on the former Governor and which ought to preclude him from enjoying any form of leadership in the country"
The Lagos State PDP states unequivocal support and confidence in the chairmanship of Dr Femi Okurounmu and the eventual Success of the National dialogue.